Magic Sync is an interactive installation of music, light and sculpture. 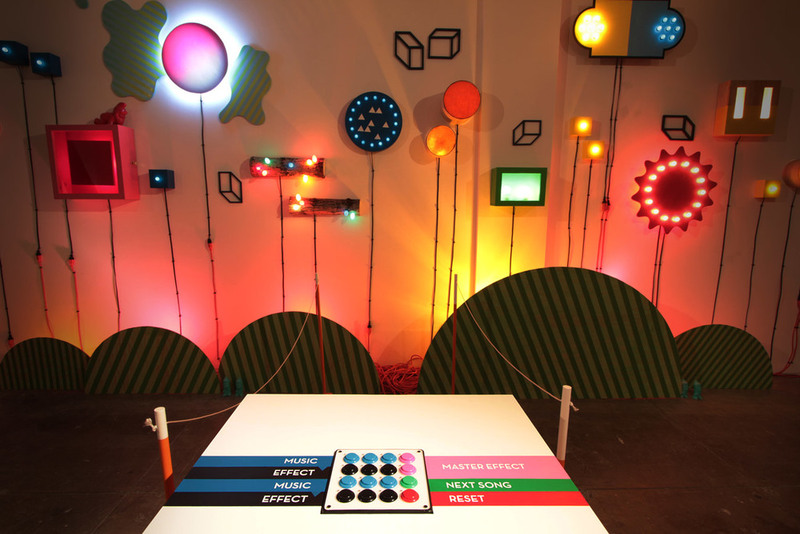 By manipulating a bank of arcade buttons, the viewer animates both sculptural and audio elements, in effect producing a unique re-mix of the piece. The piece originally ran at SOIL gallery in February 2013. It is a collaboration between Andy Arkley, Peter Lynch, and Courtney Barnebey. All photos by Matthew Witschonke.